Click on the link for animal games, activities and facts. Explore a world map to find out about animals - click on "Region"
This sticker atlas contains maps of the world and over 200 colourful animal stickers. 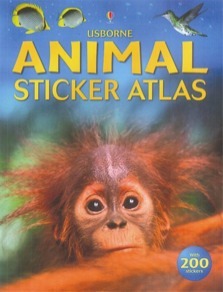 Readers can match the stickers to the maps to find out where all the animals live. With lots of amazing facts and records about the biggest, smallest, fastest and slowest animals in the world.